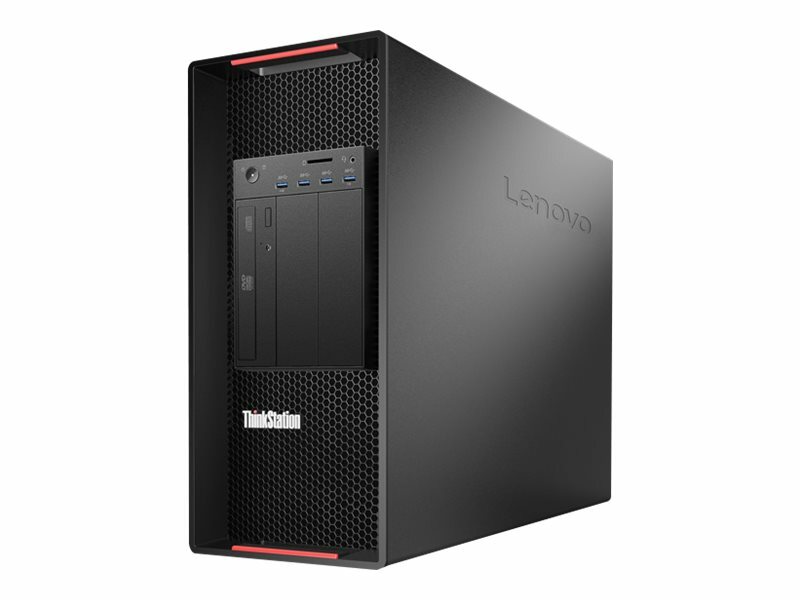 Enjoy extreme performance from this dual-processor workhorse, powered by an Intel Xeon processor and NVIDIA Quadro P5000 GPU, and featuring the most I/O in the industry. Perfect for professionals running intensive apps, ideal for rendering, simulation, visualization, deep learning, and artificial intelligence, across industries. Up to five PCIe 3.0 x16 slots depending on the processors installed. Up to three NVIDIA Quadro P6000 or Quadro P5000, or up to four Quadro P4000, or up to two NVS 810. Other graphics adapters under 75W up to 5. 16GB (2x8GB) 2666MHz* ECC RDIMM DDR4 SDRAM, upgradeable to 1TB. There are sixteen DIMM slots. Two slots are occupied by removable 8GB modules; the rest are open. Each processor supports up to 8 DIMM sockets with 6 channels. DDR4-2666. RDIMMs and LRDIMMs are supported, but memory types cannot be intermixed. ECC memory protection. Up to (4) 2.5" U.2 SSD on selected models. Optional PCIe ethernet or wireless adapters are available. Integrated Intel SATA AHCI/RAID controller in chipset. SATA 6Gbps. Supports RAID levels 0/1/10/5. Base warranty includes limited onsite service with 9x5 next-business day delivery.